Preheat oven to 200 oC. 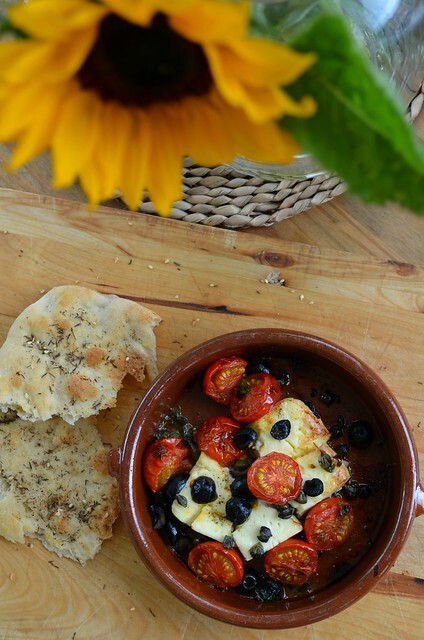 Place feta in a small oven proof dish and break up a little. 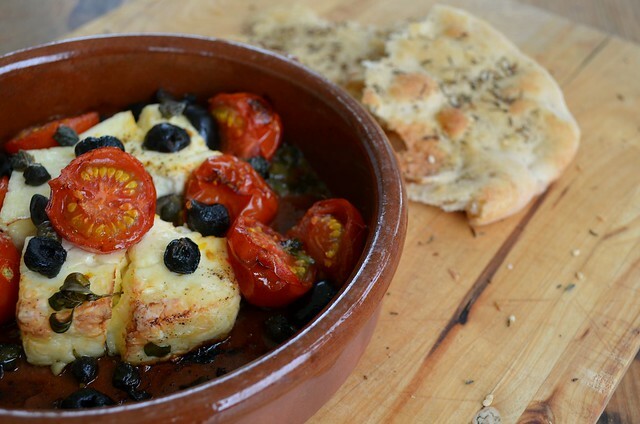 Scatter the tomatoes, olives, capers and thyme over the top and drizzle with a little olive oil. Bake for 15-20 minutes until cheese is just beginning to go golden. It’ll have to be low fat feta , but this goes straight to the top of my Must Eat Now list . Sounds gorgeous! will try it. Yum, have some extra feta — will give your recipe a try. Also luv the little birdie shot — is that an egg shell?